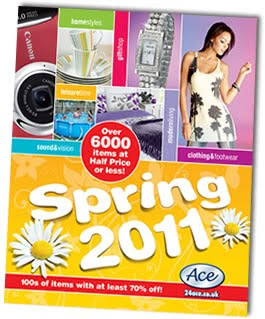 Your NEW value packed Ace Spring collection featuring many items with up to 70% off is now available. Its bursting with amazing bargains including over 1,300 new fashion and footwear lines for the whole family. Beat the rush and snap up some great bargains for Spring today!